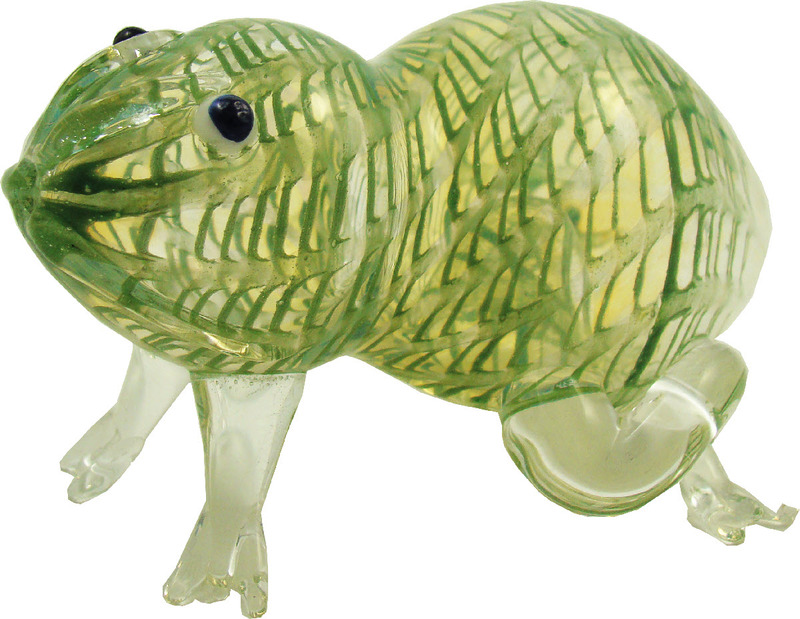 This color glass tobacco pipe has a frog design. It features a carb on one end & a mouthpiece on the other with the bowl underneath. It averages about 3.5" in length. Designs and colors may vary.